Rt. Hon. O.S. Arthur: To move the Second Reading of the National Union of Public Workers (Guarantee of Loan) Bill, 2007. Notice of this Bill was given on 25th October, 2007. The Bill was read a first time on 30th October, 2007. The Bill first appeared in the Official Gazette on 5th November, 2007. Rt. Hon. O.S. 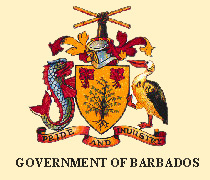 Arthur: To move the passing of a Resolution to approve the Guarantee by the Government of Barbados of the payment of the principal sum of $ 6.0 million in addition to the interest payable thereon in respect of a loan to the National Union of Public Workers to assist with the Construction of the Union’s Headquarters. Notice of this Resolution was given on 25th October, 2007. Hon. R. C. Eastmond: To move the Second Reading of the Constitution (Amendment) (No. 2) Bill, 2007. Notice of this Bill was given on 30th October, 2007. Hon. R. C. Eastmond: To move the Second Reading of the Public Service Bill, 2007. The Bill first appeared in the Official Gazette on 5th November 2007. Hon. Miss M. A. Mottley: To move the Second Reading of the Cooperative Societies (Amendment) Bill, 2007. Notice of this Bill was given on 6th November, 2007. The Bill was read a first time on 6th November, 2007. The Bill first appeared in the Official Gazette on 12th November, 2007. (a) Hon. Miss M. A. Mottley: To move the passing of a Resolution to grant the sum of $ 23 764 666 from the Consolidated Fund and to place it at the disposal of the Government to supplement the Estimates 2007-2008 as shown in the Supplementary Estimates No.5 2007-2008 which form the Schedule to the Resolution and that the Explanatory Notes to Head 43 be amended as set out in Schedule II to this Resolution. Notice of this Resolution was given on 9th November, 2007.